Happy Friday peeps! :) My apologies for being a bit late with my post today. I am so happy that it is Unity Friends with Flair Friday...woohoo! For a complete list of today's blog hop participants, please visit the Unity blog. I just received my April KOM yesterday, so I cracked it open and gave it a go. 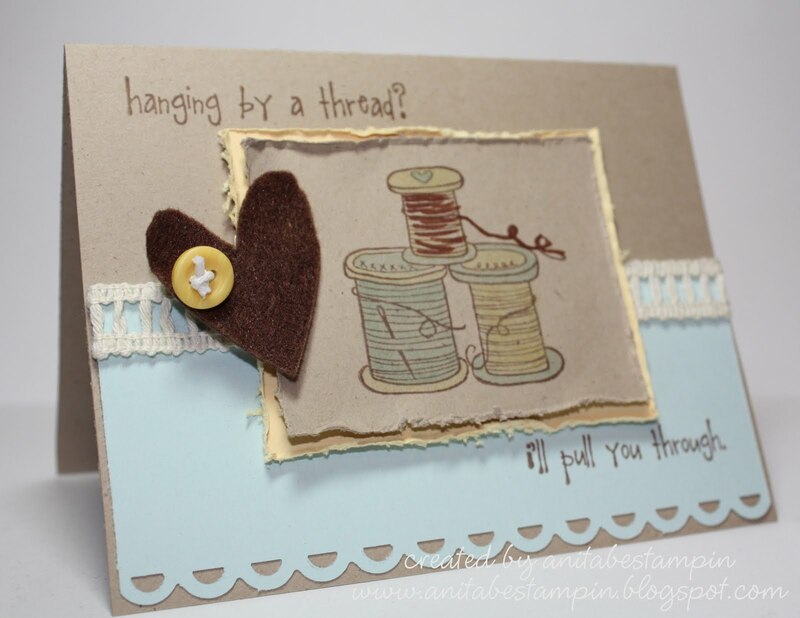 Here is a simple little card that I made from my favorite stamps in this month's kit. I sure hope you like it. Thanks so much for hoppin' by today! I love this Anita! !Love the soft colors!!! What a wonderful card - love the colors and the layout!!! Hi Anita. Loving the softness of your colour scheme. Beautiful card. And to answer your question r.e my white ink I used versacolor white and Ranger embossing powder in 'seafoam white'. I think it's the powder that really makes it pop. Super cute! Love this card! Where in SD were you from? beautiful card - love the distressing!!! I saw that you live in Husker Nation!! I am and always will be a Husker Fan too!! I live in ah hem... Missouri now but my heart is always in NE ♥. Thanks so much for the inspiration, Love your card and I just got the kit in the mail today!!! Lovely card! Gorgeous soft colours! Lovely-I just made a card last night with that stamp! I love the cards you make! This card is perfect!!! So soft & pretty! Lovely card for the hop this week! Wow! Fabulous card Anita!!! I love that spool image! Have a wonderful weekend! Oh my gosh, I love this card! Oh how darling!! I love this!! Anita, this is darling! I love the textures. Thanks for your conga-rats at my blog. I'm putting your blog candy in my "jar" to help spread the word! Total cuteness Anita with the thread and love the felt heart! Awesome!!! Love blue and brown together... Very meaningful card.